Didn't think CITC could make the most popular snow machine in the industry better? Thought we would just sit on our laurels? Think again! 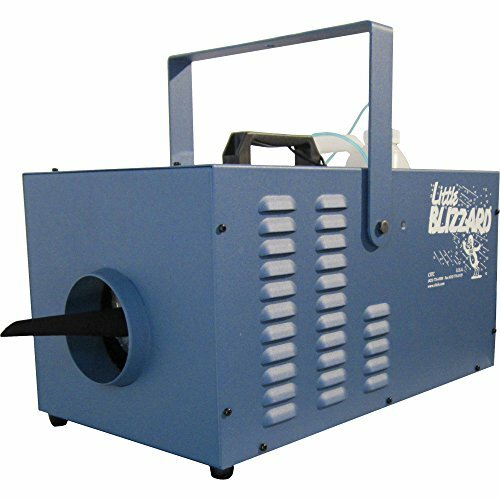 CITC has outdone themselves by upgrading their most popular piece of equipment, the Little Blizzard. The Little Blizzard has a whole new look, inside and out. The first thing you will notice is the great new deep blue powder coating. The surface is much smoother, yet still textured to be "show tuff." When you turn the machine on, you'll see the higher output almost immediately. The flakes never looked so light, so fluffy, and so dry. Third, you'll notice that you're getting about 20% more snow with the same amount of fluid. The variable speed now has a much greater range as well, going from wisps of snowflakes to larger, white, fluffy, and dry flakes. The LBXT also comes in a soundproofed version, the LBXT/SP, which is several db's quieter. If you have any questions about this product by CITC, contact us by completing and submitting the form below. If you are looking for a specif part number, please include it with your message.